It may be Autumn now, but that never stops me! 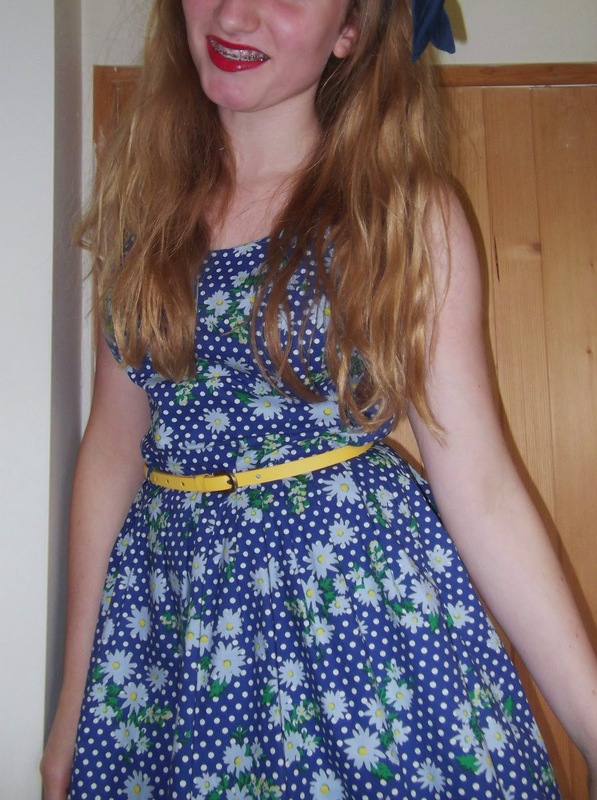 I've selected one of my favourite dresses today - simply for all the beautiful memories it keeps! I've got some gorgeous snaps from a friends birthday party wearing it. 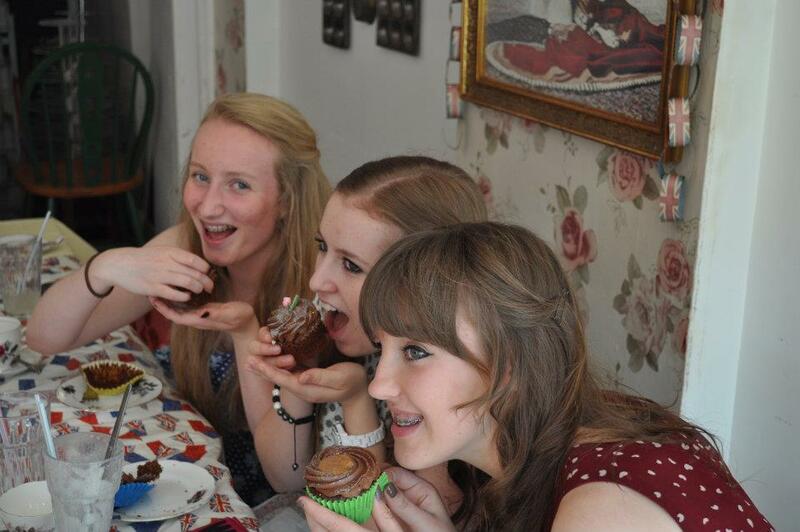 If you've never been to Queenies Cupcakery in Ironbridge, then you have never tasted heaven! Check the website out here and if your ever planning a trip to somewhere beautiful - Queenies is your destination! We had our very own vintage tea party, which has to be the cutest thing ever!!!!!! 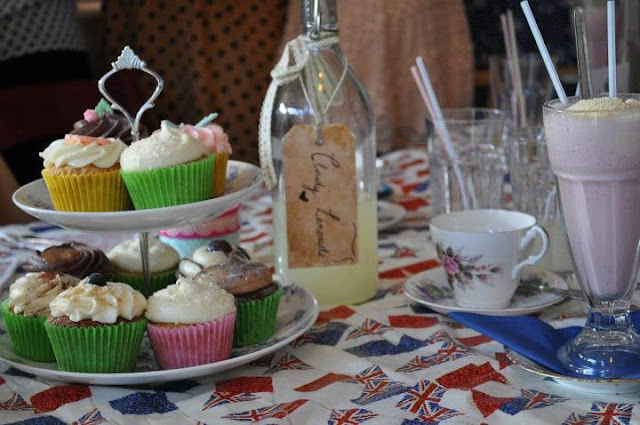 I'm already a Vintage freak as it is, so if the 50's music and finger sandwiches wasn't enough, we had an selection of the most gorgeous Cupcakes I'd ever tasted! Obviously I went for the 'Snickerlicious' (Snicker and Chocolate) Cupcake - how I didn't get the entire cake down me, I will never know! 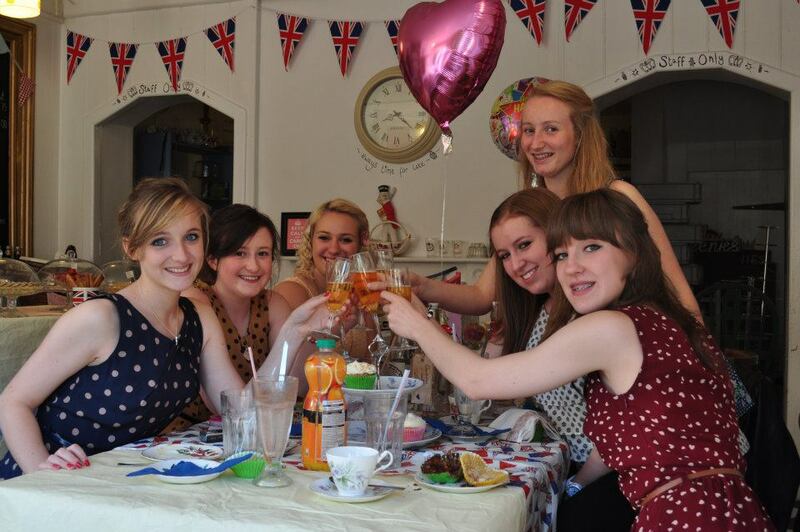 Here's my lovely friends, with our champaign flutes! (Left to right: Lucy, Emily, Sarah, Me, Lauren and Shannon). I'm afraid we didn't get to sample any afternoon tea (probably because most of us don't actually drink it! ), but I fell in love with the sweet taste of the Cloudy Lemonade. The selection of finger sandwiches were also the cutest thing ever, and I must say I don't know how I found the room for Cupcake's after - but obviously I did!!!! Well, with all that excitement, I'm signing off, as I just had a whiff of my mothers 'Sunday Roast Special'. Myself and my rumbling belly are in agreement, it's time I pester my Mom, till my dinner lies on our dinning room table! I also wan't to take this opportunity to express my love of 'Downton Abbey,' as the Drama has just started for a series 3 on ITV, I'm literally in love already! So If anyone know's someone who works with the program - 1. do not tell me, and 2. warn them about the mad blogger, who's obsessed with the program! Awh thanks for the follow! And yeah it really was great! Will make sure I follow back!